Expect to be impressed!!! You're going to love this David Weekley home's casual, flexible floor plan (McDowell), updates, location and of course the community. The highly desirable Baldwin Park! This 3 bedroom, 2.5 bath home can be your new home. A large covered front porch & beautiful landscaping welcome you & your guests to this beautiful residence. It boasts a spacious kitchen with 42â cabinets, Silestone (quartz) countertops, stainless appliances, and lots of cabinets and counter space. This home has a very open floor plan on the first level, it has a large island that doubles as a breakfast bar. There is a separate formal dining room and a spacious family room and wood floors cover all of the home, except for the wet rooms that have tile. There is also a home office with French doors as well as a spacious, rear entry garage with no homes directly behind you. All three bedrooms are tucked away upstairs. The generously sized ownerâs retreat includes a four piece bathroom with two independent sink vanities, a garden tub, separate shower, and an enormous walk-in closet! Donât miss this opportunity to live in one of Orlando's best neighborhoods that include 3 community pools, 2 fitness centers, several parks/playgrounds and a walking/running path around beautiful Lake Baldwin. 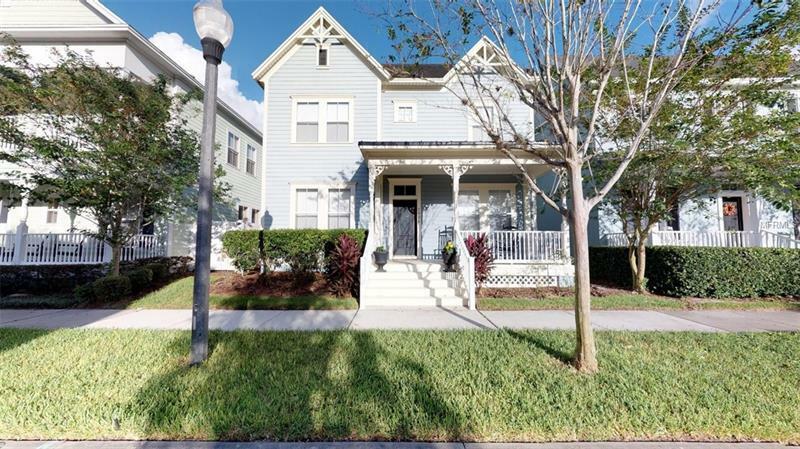 Baldwin Park is an award-winning neighborhood, just three miles from downtown Orlando. Great schools, parks, lakes, shops, and restaurants make it one of Orlando's most desirable places to live, work or visit. Pet Restrictions: Please refer to HOA bylaws for restrictions for pets.